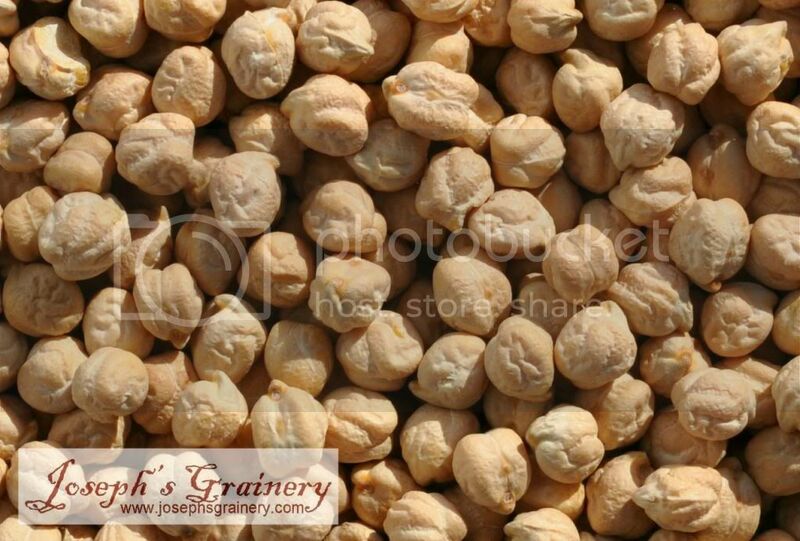 Joseph's Grainery Garbanzo Beans...or Chickpeas? You decide. What's the difference between Chickpeas and Garbanzo Beans, you ask? It just so happens that they are one in the same. Two names for the same little protien-packed legume - you say tomato, I say tamatoe. You'll hear us use the names interchangeably around here, and that's because they are. It's a matter of culinary linguistics. The Spanish refer to them as Garbanzo Beans, while Chickpea is the preferred nomenclature for the English. Wait, it doesn't stop there...the French and Italians call them chiche and ceci beans, respectively. So not to be concerned, whether you call them chickpeas, garbanzo, ceci or chiche beans - we're all talking about the same fiber-rich, slightly nutty tasting legume. When you order Garbanzo Beans from Joseph's Grainery, they're coming From Our Farm To Your Table.